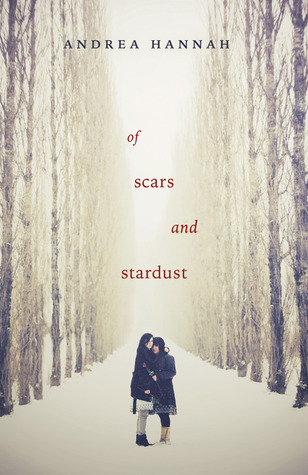 Of Scars and Stardust author, Andrea Hannah, shares us her obsessions, best time to write, things she do when she's stuck in writing, and others--on her very own 14 random facts! 1. I used to collect unicorns when I was little. I never grew out of it. 2. I can only write in absolute darkness and silence. 3. I taught in Africa between semesters in college, and while I was there a monkey stole one of my juice boxes, chugged it, and ran away. I have it on video. 5. I have a pug named Amos who is the most disobedient dog on the planet. 6. My husband and I met in high school. 7. Before I wrote Of Scars and Stardust, I wrote a book about people who could hop from dreams to reality. I still kind of like that book. 8. I’ve had some kind of mishap in every country I’ve traveled to: lost train tickets in France, emergency medical visit in South Africa, wrong guest house in Rwanda, on and on. 9. When I’m stuck with my writing, my favorite things to do are to go for a run outside or clean up the leaves and branches around my backyard. Something about touching earth helps to clear my head. 10. I dislike watermelon-flavored anything. 11. Both of my kids have something nature-related in their names. 12. If I’ve heard a book is emotional or scary, I always look up spoilers before I read it to prepare myself. 13. I journal almost everyday. 14. I’m obsessed with the following things: robots, dinosaurs, old school Nintendo games, horses, and astronomy. If any of those things show up in books or movies, I’m sold. Andrea Hannah lives in the Midwest, where there are plenty of dark nights and creepy cornfields to use as fodder for her next thriller. She graduated from Michigan State University with a degree in special education. When she's not teaching or writing, she spends her time running, traveling, and attempting to keep her pug out of the refrigerator (unsuccessful to date). Yesterday: Sara Raasch, author of Snow Like Ashes. Tomorrow: Courtney C. Stevens, author of Faking Normal. Check out the schedule here. - each entry will be checked. Daily entries requires different info/links every day. This will be checked as well so be honest! 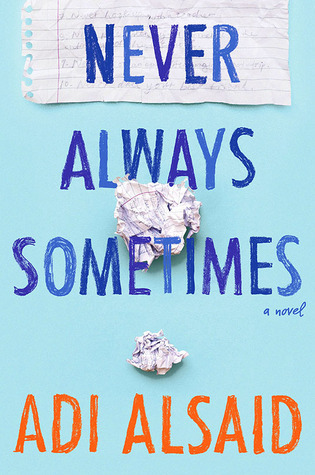 I would love to read this book because it looks like something I would throughly enjoy! aahhh no. 12, i do that too. preparing myself for what is to come, sometimes i regret it afterwards, "why did i spoil myself?!?!" I'd really like to know her children's name :) this book sounds interesting. thanks for the giveaway!